SUPERIOR CHASSIS: Tough and durable steel frame. Frame is contoured & welds are enforced for superior strength. 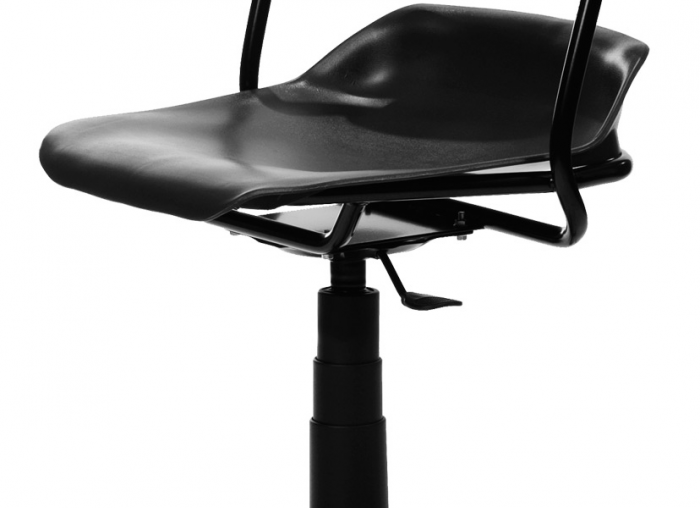 ERGONOMIC DESIGN: The contoured seat and back promotes positive posture and comfort. 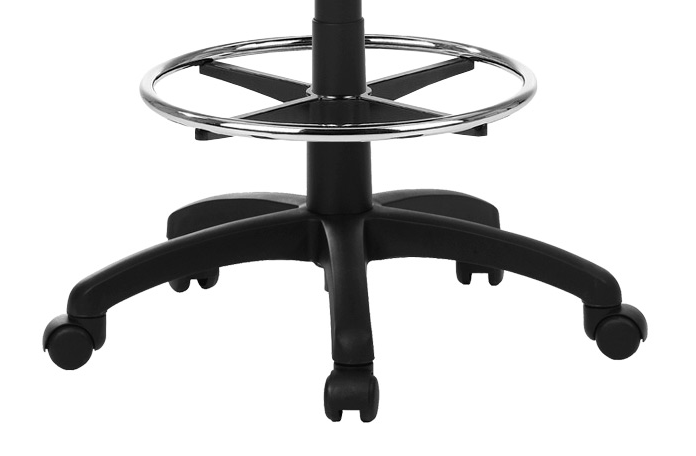 5 STAR BASE: A 26" wide 5 star base provides users with maximum stability & safety. 360° SWIVEL: A full 360° swivel allows you to move from side to side easily. ADJUSTABLE HEIGHT: EFS 310 can be adjusted from 24" to a maximum height of 35". UPHOLSTERY: It can easily be upholstered with any desired fabric, if required (optional). 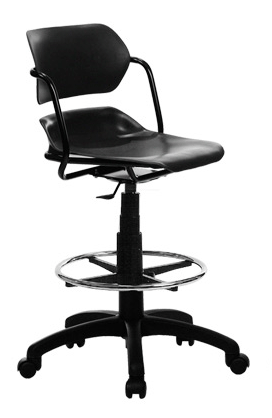 MADE IN USA: The EFS 210 & 310 Chairs are proudly made in the USA. COMFORT . . . 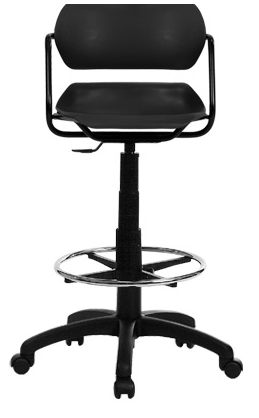 This contoured seat and back provides passive ergonomic comfort for students of all sizes. Nothing distracts students from focusing their attention on learning than a tired back or sore tush. NO unnecessary adjustments. Casters can be replaced with glides if students are so inclined to use the chairs for drag racing! NO FABRIC . . .damage,stains and tears associated with upholstered chairs are virtually eliminated. Simply wipe clean. This chair will look as good in year 10 as it does in year one. NOTILT . . .NO KNOBS . . .The need for support staff to replace broken or missing knobs has been virtually eliminated, as all unnecessary components have been removed from this design. WARRANTY . . . 25 years on the frame / 10 years on the undercarriage (including the piston). The "money people" are assured that the purchase of these chairs will not place increased pressure on future year's maintenance budgets. 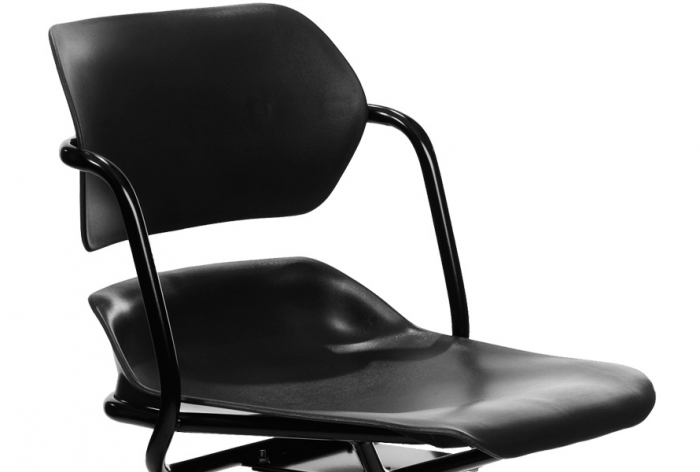 This warranty provides budget administrators with confidence that this chair will be serving their needs for 10/15 plus years.